China continued to outperform India as a magnet for US venture capital investments in 2008. This was particularly interesting in a year that saw the venture investors feel the pinch from declining values of their portfolios. It was also a year when a company based in Pakistan became the first to receive US venture funding. In India, the VC investment in the year 2008 amounted to $740 million across 125 deals, while it was $876 million from 144 deals during 2007. A major portion of the decline came in the last quarter of 2008 when world economy started feeling the bite of the credit crunch that precipitated the economic crisis on Wall Street. Arun Natarajan, CEO, Venture Intelligence told SiliconIndia, "Everything got affected in the October-December quarter. VCs are much better off because the money is already available as many closed funding before the middle of 2008." According to Srini Vudayagiri, Managing Director, Lightspeed Ventures, the venture capital space in India is dominated by non-India funds that have strong linkages to U.S., Europe and even raise funds there. That could explain the tight liquidity situation. Also, in the current environment, VCs will thrust on value addition in existing portfolio companies rather than fresh investments. The continuing political turmoil and uncertainty made it difficult to attract serious VC investments in Pakistan. Pakistan's problem was captured well by the CIO magazine recently in the following words: "Pakistan has a serious brand problem. In the West, the mere mention of Pakistan incites images of violence, extremism, explosions, suppressed women and backwards thinking. Time Magazine called Pakistan the most dangerous place on Earth. It takes extraordinary effort and enlightened customers to realize that the actual reality on the ground is quite different." The reality is not all doom and gloom in Pakistan. For the first time in the nation's history, former President Musharraf applied tremendous focus and major funding increases for higher education in Pakistan. According to Sciencewatch, which tracks trends and performance in basic research, citations of Pakistani publications are rising sharply in multiple fields, including computer science, engineering, mathematics, material science and plant and animal sciences. Over two dozen Pakistani scientists are actively working on the Large Hadron Collider; the grandest experiment in the history of Physics. Pakistan now ranks among the top outsourcing destinations, based on its growing talent pool of college graduates. As evident from the overall results in the last decade, there has been a dramatic increase in the numbers of universities and highly-educated faculty and university graduates in Pakistan. In spite of Pakistan's image problem, Naseeb Networks, a Pakistani online recruitment, social networking, and classifieds company, received an undisclosed amount of venture investment from two Silicon Valley VC firms, ePlanet Ventures and Draper Fisher Jurvetson in 2008. Earlier in December, 2006, PixSense received $5.4 million in equity funding, led by ATA Ventures and Innovacom. While there is a history of US venture investments in Silicon Valley technology companies founded by Pakistani founders, none of these VCs have previously funded companies such as Naseeb and PixSense which have significant R&D centers and operations in Pakistan. Last year, European VCs have shown interest in funding Pakistani startups. Vopium, a Pakistani company offering a platform for almost free calls and SMS to any part of the world, reportedly received 4.2m euros in funding from European VCs. Even as China's economy was battered by the global slowdown, venture capital investments in the Asian country last year hit their highest levels ever at more than $4 billion, 30 percent higher than 2007, according to a new report. If not for the global economic crisis, that growth could have been 20 percent higher, said Gavin Ni, founder and chief executive of Beijing-based research company Zero2IPO Group, who visited Silicon Valley this week. In the United States last year, nearly $29 billion in VC funds were funneled into 2,550 deals, an 8 percent drop from 2007, according to Dow Jones VentureSource. In China, a record $7.3 billion was raised for VC funds in 2008, 33 percent higher than the year before. It seems that China's appeal to investors is not likely to fade anytime soon, in spite of the tough investment environment. The nation of 1.3 billion people has some 624 million cell phone users — the most in the world — and 300 million Internet users, also the world's largest. "China will definitely be one of the top two or three centers of venture capital in the world," Gavin Ni told the San Jose Mercury News this week. "Even in this down economy, the China market is dynamic." The information technology sector received the biggest share of the investments, or 36 percent, in 2008. Traditional companies, such as retail, picked up 22 percent of VC funds, while services companies garnered 18 percent. Clean tech received 9 percent, and biotech and health care companies picked up 7 percent. At the OPEN Forum 2008 in Silicon Valley, Mike Moritz, Senior Partner at Sequoia Capital, said that Sequoia is currently not looking to go into another geography but it may consider other geographies such as Pakistan if their portfolio companies chose to open offices there. What took Sequoia to China, India and Israel were the founders of Silicon Valley companies who made a decision to locate R&D facilities in these geographies. Speaking in a panel discussion at OPEN Forum 2008 recently organized by the Organization of Pakistani Entrepreneurs in Silicon Valley, Faraz Hoodbhoy, the CTO of PixSense, argued that Pakistani expatriates in Silicon Valley are the harshest critics of Pakistan. They are not immediately likely to ask US VCs to invest in Pakistan. However, Hoodbhoy's company PixSense has taken this path. PixSense currently has a sizable presence in Pakistan and prides itself in what Pakistani engineers have done for it to make it successful on very low budget. Given the uncertainty of economic recovery in the United States and continuing instability in Pakistan, it will probably be a while before US-based VCs follow in the footsteps of Draper Fisher, ePlanet, ATA Ventures and Innovacom into funding a significant number of Pakistan-based startups. To phir kis cheez ke ham mein kami hai"
The Russian Kommersant has it right when it says: "India has had little success with military equipment production, and has had problems producing Russian Su-30MKI fighter jets and T-90S tanks, English Hawk training jets and French Scorpene submarines." The Russians will come here set up the plant for us and supply the critical manufacturing machinery. Indian labor and technical management will run the plant which will simply assemble the system. Critical components and the solid propellant rocket motor fuel will still come from Perm Powder Mill. However, bureaucrats in New Delhi and the nation as a whole will be happy. The Smerch system will be proudly paraded on Rajpath every republic day as an indigenous weapon system. China will by then have developed its own follow up system besides having used the solid propellant motors to develop other weapon systems and assist its space research program. The great 20th century sinologist, Joseph Needham, once drew up a list of 24 technical innovations brought from China to the West. They ranged from gunpowder and the wheelbarrow to printing, cast iron, the magnetic compass and the chain suspension bridge. By 1600 the torch of innovation had passed to the West. Could it now be returning? In 2003 China became the third nation to put a man into space, and has busily launched satellites since. On the ground, communications companies such as Huawei and ZTE now compete head-on with the likes of Ericsson and Nokia. Against this background, it is no wonder that China is one of the world’s largest investors in research and development. Spending on R&D has climbed by 19% per year since 1995 to reach US$30 billion in 2005, putting China sixth in world ranking. That is at current exchange rates; if these were adjusted for purchasing power parity between different countries, then China would rank third! However, according to a new report examining Chinese innovation, some of this progress flatters to deceive: R&D spending is still low as a share of GDP per capita and far lower than the OECD average. Consider also the number of researchers in China, which while second in the world only to the US, is still very low for China compared to OECD countries, given the size of the country’s labour force. Chinese researchers may have contributed 6.5% of research articles to scientific publications in 2004, up from just 2% a decade earlier, and are second after the US in nanotechnology research publishing, for instance, but their innovation system still shoots below potential. Safeguarding intellectual property rights is the soft belly here. China is well in line with international regulations as a signatory of TRIPS (the Agreement on Trade-Related Aspects of Intellectual Property Rights), but despite clearer and tighter regulation, infringement still dogs the system. The difficulty is enforcement. This discourages domestic investors as much as investors from abroad. Worse, IPR infringement poses health and safety risks for consumers, and damages the reputation of Chinese firms. The government, as well as the Chinese Patent Office, is toughening up on IPR, though fixing the system will take time and effort. For many historians and scientists, what makes Chinese civilisation so brilliant is that it had “another way” of doing science. According to Joseph Needham, Chinese innovators simply did not translate their knowledge into mathematics. This left them remote from ensuing scientific dialogue. Whether or not this is true, the global economy has now changed and so has China. In the end, the Chinese are set to reinforce the country’s innovative capabilities both by trying out their own approach and looking to advanced OECD countries for inspiration. If the underlying systemic shortfalls are also corrected, then China may soon be in a position not only to push to the heart of scientific discussion, but to lead the world to new frontiers of knowledge as well. MUMBAI: "We stay away from places that have impossible governments and impossible tax regimes, which means Sayonara to India," TPG Capital founder-partner David Bonderman said recently, tearing into the country's investment attractiveness. Bonderman, among the most influential private equity (PE) investors, said publicly what his peers quipped behind the scenes: India is possibly the least attractive of the emerging markets for PE, right now. India's recent regulatory moves on retrospective taxes spooked PE funds, which are long-term risk investors. But it's only a part of the story going awry. Big investors into PE firms like global pension funds, university endowments and family offices - piqued with lower growth, poor corporate governance and bad returns - are cutting back capital allocations for investments in India. This leaves more than 500 PE firms in the country struggling for survival, with the sector bracing for a sudden contraction in the number of funds within 12 to 18 months. The present count of PE firms is a staggering jump considering India had less than 20 just over a decade ago. PE firms invested $3.98 billion in the first six months of 2012 compared to $5.2 billion in the year-ago period, said a JM Financial note on the industry. The 23% decline by value probably tracked the rupee's drop against the US dollar. But the number of deals remained flat at 185, suggesting the shrinking size of investments. ndian PE play peaked with $19 billion investments in 2007 but fell sharply in subsequent years. Private equity investments totalled a little over $10 billion in 2011. The industry, which offers million-dollar jobs to heavy hitters, has over 1,500 people in its fold riding on the lucrative 2:20 (fund managers charge 2% management fees on committed capital and incentive fee of 20% on capital returned) remuneration formula. But, with fresh capital raise getting harder, some are already settling for lower management fees. "There is a growing discussion that the unfolding scenario could see India private equity managers being forced to accept something less favourable than the 2:20 structure," Chattopadhyay added. "We see fewer funds competing with us for deals in recent days. PEs without a critical mass and no strong engagement with India's long-term story will get out. One can call it shrinking or maturing of the private equity in India," said a managing director at one of the world's largest private equity firms. "And there are people in my firm who think like Bonderman, that we shouldn't be here," he added, while striking a contrarian mood. Indian PE play peaked with $19 billion investments in 2007 but fell sharply in subsequent years. 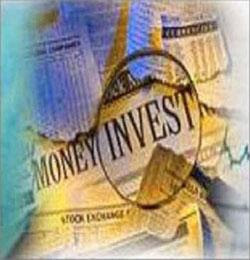 Private equity investments totalled a little over $10 billion in 2011. The industry, which offers million-dollar jobs to heavy hitters, has over 1,500 people in its fold riding on the lucrative 2:20 (fund managers charge 2% management fees on committed capital and incentive fee of 20% on capital returned) remuneration formula. But, with fresh capital raise getting harder, some are already settling for lower management fees. "There is a growing discussion that the unfolding scenario could see India private equity managers being forced to accept something less favourable than the 2:20 structure," Chattopadhyay added. Let’s start by asking why are most investors in financial assets only interested in stock and bond markets, to the extent that even the premier CFA institute examinations and most university programmes almost solely focus on these two. Here is why. These are the only two saving vehicles (asset classes) that are large, liquid and have visible prices. World public equity market capitalisation at $50 trillion (Bloomberg) and bond market debt outstanding at $95 trillion (CityUK), provides decent saving depth for global GDP (annual income) of $65 trillion. The tangible asset market, mostly real estate (but including under/over-ground commodities and personal property), is even larger at $150 trillion, but is illiquid, due to relatively large ticket deal sizes and non-standardisation and hence is called an ‘alternative asset class’. Private equity or shares of unlisted companies are interesting. They are grouped as alternatives due to liquidity constraints and big deal sizes, but otherwise seem the same securities, ie equity. Before I elaborate, let’s try to ascertain the total size of private equity market. According to Credit Suisse 2011 Global Wealth Report, total net wealth in the world is $231 trillion. From this, we minus the value of ‘real’ assets, stock markets and $5 trillion in cash and demand deposits. The size of bond market is not included in the calculation as one person’s bond asset is another’s liability and it cancels out. Hence, estimated value of private companies comes to $30 trillion, which is smaller than the public equity market but still huge. Conclusion: Private equity presents a huge universe of opportunities and can certainly add value to High Net Worth (HNW) portfolios containing only stocks and bonds, by both increasing return and lowering true volatility at the same time. It is certainly an alternative investment class, but not only because of low liquidity, but rather because it marries management science with pure investment. Originally founded in California, Startup Grind is an international community with a global presence in more than 40 cities and 20 countries. Its mission is dedicated to celebrate the success stories of founders and innovators of business startups and encourage entrepreneurship. The monthly interviews and startup mixers provide a great opportunity to entrepreneurs-in-making to network with ambitious people and benefit from the ‘pearls of wisdom’. The official launch in Pakistan took place on Friday, the 3rd of May at T2F (The Second Floor). It was hosted by Mr. Fawaad Saleem, the Chapter Director for Startup Grind and chaired Mr. Farzal Ali Dojki as the guest of honour. Mr. Farzal is the CEO of Next Generation Innovations, a consulting company that specializes in customized IT solutions and often partners with startup businesses to support their launch and operations. The event started off with tea and networking as professionals across different spectrums of the industry engaged in meaningful networking. Before the interview began, Mr. Farzal gathered the prime issues that plagued the audience’s minds regarding startups. The concerns focused on lack of funding opportunities, successful team-building, and making the choice between entrepreneurship and employment in the early stages of one’s career. He concluded his talk with three lessons. Firstly, as a startup you need to work hard and with dedication. Secondly, it is important to hire carefully and ‘fall in love’ with the people you are hiring. Thirdly, in order to launch a startup, it is important to work in a startup first. The learning curve of working in a successful small team is extremely high. One gets the opportunity to engage directly with the customers, take decisions, and explore areas of growth.